Don't forget to bring receipt of your draft/bank slip on pre-conference workshop/courses/conference day. If you are a student you have to provide your student Id card a scanned copy through email with your deposit slip or at the time of entry other wise you have to pay full fee. Anyone signing up for this workshop has to complete both sessions 1 & 2 in order to receive the certificate. Select PCW1 PCW2 PCW3 PCW4 PCW5 PCW6 _______All Seats Are Filled PCW7 PCW8 PCW9 _______All Seats Are Filled PCW10 PCW11 PCW12_______All Seats Are Filled PCW13 PCW14_______All Seats Are Filled PCW15 PCW16 1000/= PKRs.10/= USD.  Select ESHPE Essential skills in Health Professions Education RIHPE Research in Health Professions Education LIME – Leadership in Medical Education Data Analysis through SPSS & AtlasTi 5500/= PKRs.55/= USD. Day 2 Select	Virtual Learning Environment	 5500/= PKRs.55/= USD.